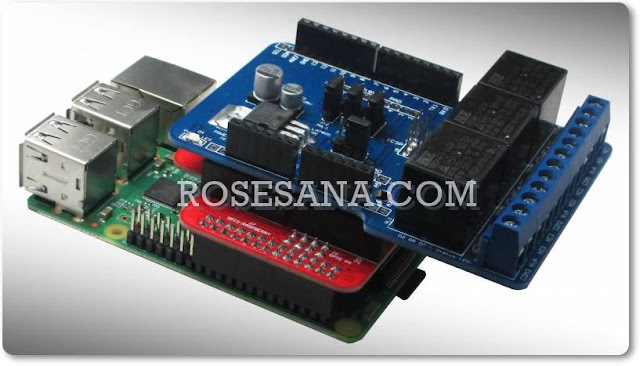 FIGARO GS Oxygen Sensors . 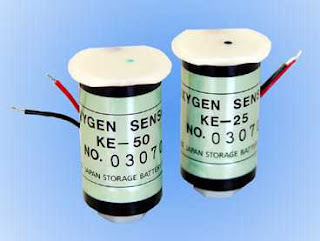 The GS Oxygen Sensor KE series (KE-25 and KE-50) is a unique galvanic cell type oxygen sensor which was developed in Japan in 1985. 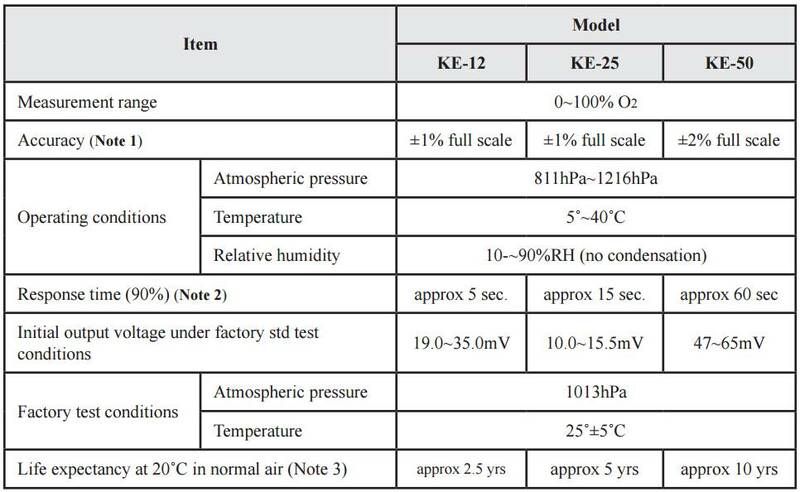 Its most notable features are long life expectency, excellent chemical durability, and it is not influenced by CO2. 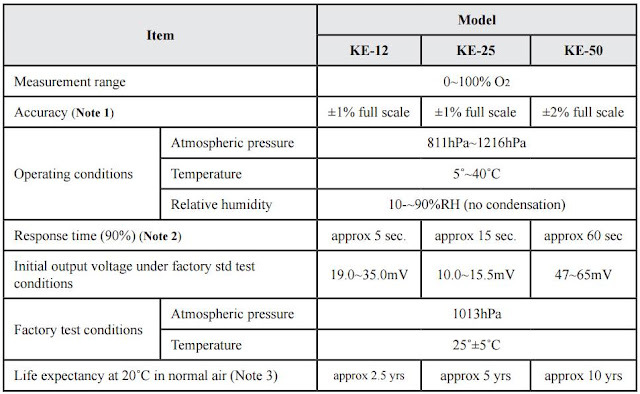 The KE series oxygen sensor is ideal to meet the ever-increasing demand for oxygen monitoring in various fields such as combustion gas monitoring, the biochemical field, medical applications, domestic combustion appliances, etc.